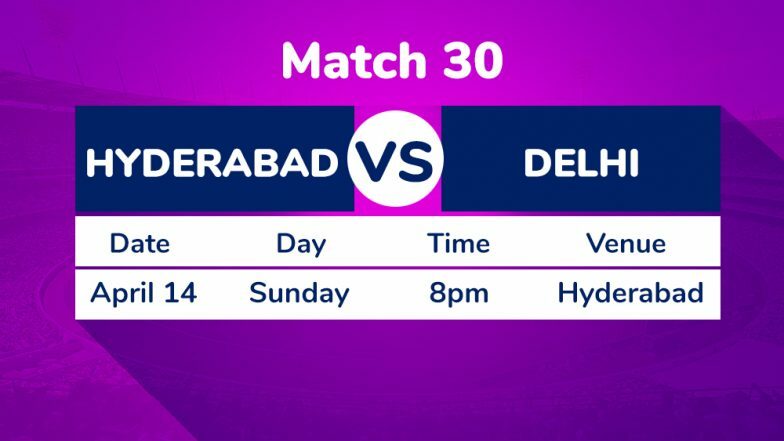 The last game between Hyderabad and Punjab saw the SRH batsmen struggle on the slowish wicket at the I.S. Bindra Stadium and they will be more than happy to return to their home ground. Also, it is believed that regular skipper Kane Williamson will be back in the line-up and that will help strengthen the batting which has depended heavily on the duo of Jonny Bairstow and David Warner at the top. Delhi Capitals Squad in IPL 2019: Team Profile, Schedule of DC in VIVO Indian Premier League 12. It will not be easy for DC to take on the Orange Army in their own backyard, but DC have the bowling in Ishant Sharma, Kagiso Rabada and Chris Morris to take on the challenge. It will be interesting to see whether the spinners like Axar Patel can create an impression like a Rashid Khan has or Mohammad Nabi has for SRH. SRH Squad in IPL 2019: Team Profile, Schedule of Sunrisers Hyderabad in VIVO Indian Premier League 12.